I have been very satisfied with this app. Because data is stored on central server the entire family is able to access our flight data without having to re-enter on each device. 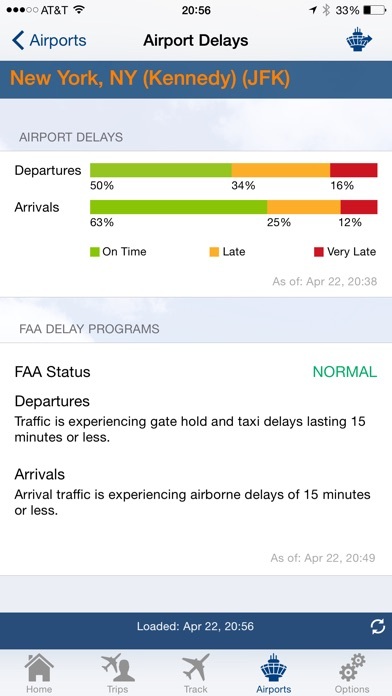 On flight days, data is updated virtually as fast as on airline websites. I have come to trust and depend on this app. Very good App on Apple 🍎. It stinks on Android. Extremely useful for my job. No updates in almost a year. No automated import of itineraries like other apps. Manually forwarding emails for itinerary import routinely fails with “please remember this is a beta function” (for over a year?). 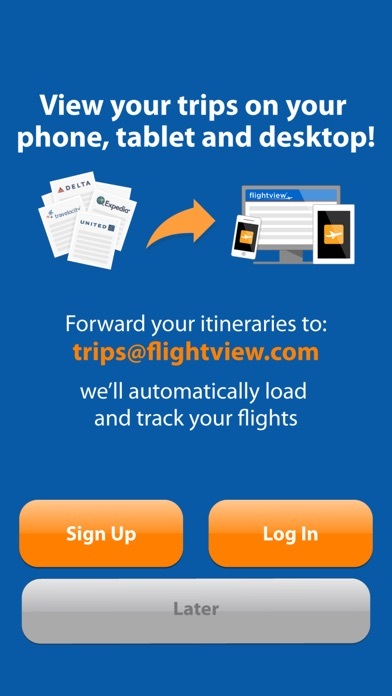 This means manual re-keying of your itinerary into an app... in 2019? No thank you. This was a quality product that simply hasn’t kept up with the competition. 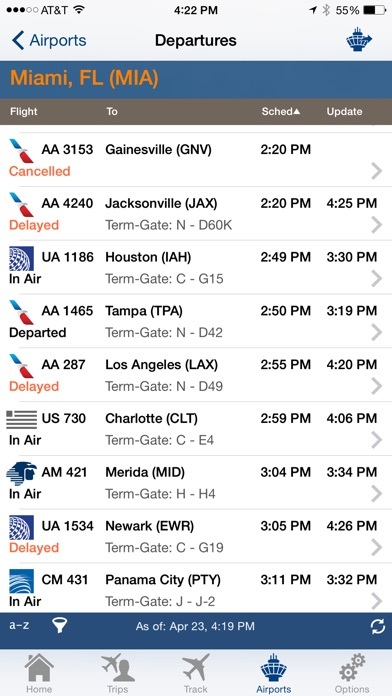 TripIt has more robust features now. This is a great app. 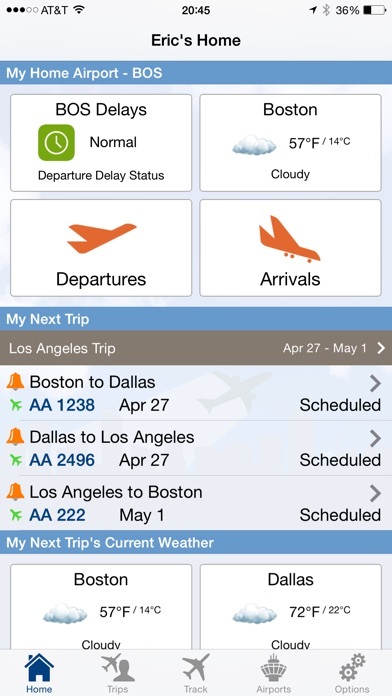 Last year I flew nearly 50k miles and this app helped me a lot. Please consider adding Apple Watch support. 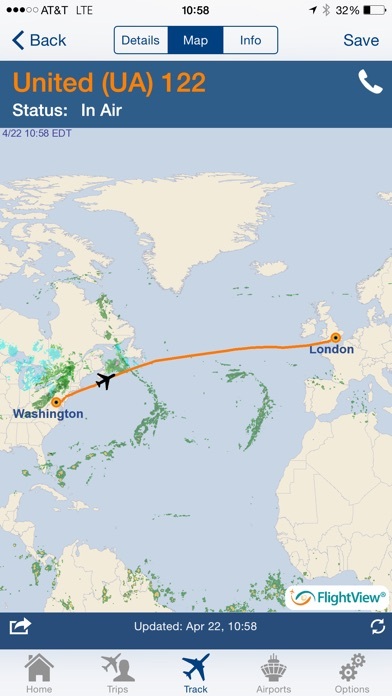 I’ve tried several other Flight Tracking apps, none can come close. The Airport Arrivals and Departure boards are Priceless! None can compare. Excellent tool to manage my trips! I like the app. It’s easy to use, but I predominantly access it from the widget and there is no “see more” option to expand the widget in order to access different flights. That would be super convenient. I don’t much about flying but every time my wife has traveled to Arizona or to Italy I’ve been able to track all her flights effortlessly. Great app. I have been using this app for years and paid for the elite version because I think it's a great app. I use it almost every day as a dispatcher for a limo service. It gives me all the information I need on various flights departing and arriving. Wouldn't use anything else! Looking forward to this latest version. Looks like a nice app, paid the 6.00, on the reviews. Then started using it to find out is another subscription based app. Hidden and not disclosed, in the description. So I cannot push any more than one flight if that. Just disgusted.